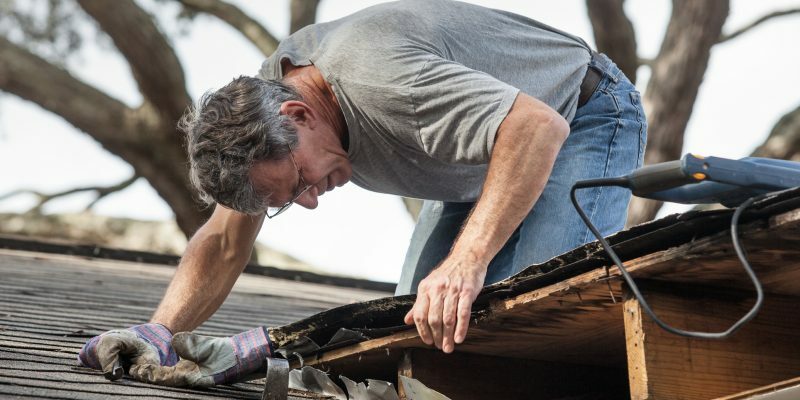 When you think of a leaking roof, you may think of a missing or broken shingle. But roofs are actually very complex, containing multiple places pieces within them where something can go wrong. Leaks can cause serious damage to your home if left un-repaired, so spotting leaks getting them fixed is important. 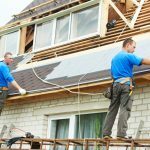 Understanding more the parts of your roof what causes leaks will help you identify leaks quickly to resolve the issue protect your home. Read on, because today we’re going to talk 9 common causes of a leaking roof. Flashings are pieces of metal that help redirect water away from joints crevices in the roof. As an example, there is space that exists between your chimney or bathroom vent the roof. Water doesn’t care how small the crack is; it can get inside. Flashings overlap the crevice to redirect water away from it to avoid leaks. While this material is very durable, it can leak if cracked. Sourcing a leak isn’t always easy. But in the case of flashing cracks, you may have water pooling in your bathroom vent, stove fan, chimney or other places a flashing was used to redirect water. 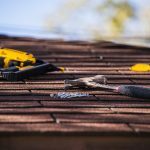 Depending on the slope of your roof, broken shingles may or may not be easy to spot. But if you have a leak, a broken composite shingle may be the culprit. On most roofs, it will appear as an oddly placed dark spot on the roof where the underlying material is showing. Shingled roofs are designed with overlapping shingles, so the shingle may not cause trouble at first. It certainly will if left unrepaired. Some families actually venture out onto their roofs from time to time. A child may decide that the roof is a place to hide from parents responsibility. Or someone may just want to get away to a quiet place. Regardless, the typical residential roof is not designed for frequent foot traffic. While walking on the roof on occasion won’t hurt it may actually help you spot problems, using the roof as an outdoor getaway will cause the roof to corrode more quickly. Most houses don’t have those triangle roofs that we drew as kids. Roofs are typically more complex with two or more peaks the valleys that must accompany them. These valleys can take a beating because they’re the low point of the roof. All of the water runs down the slope through the valleys. Because of this, they need a special barrier in the form of a valley flashing. If it’s not properly sealed or cracked — Voila! — leaking roof. Those pipes that stick up from your roof are vents to permit air moisture to escape your home. They have a tight rubber ring placed around them called a boot as well as a flashing at the base to prevent leaks. The booting can corrode crack over time causing a leaking roof. If you lived in a cold climate, you might experience ice dams. A ridge of ice forms on the roof. This happens because your attic is warmer than the outside air. It partially melts the snow ice, which runs down the roof refreezes at the edges. This dam prevents water from running off the roof. That water pools at the damn will eventually corrode the roof. In cold climates, removing this ice is a regular home maintenance task that those of us in South Carolina don’t have to deal with. We love skylights. They allow the sunshine in to the house, which helps to brighten dark spaces. But when improperly sized, not properly sealed or when damaged over time, they can leak. This could be a leak in the skylight itself or the flashing around it. Similar to the ice damn effect in very cold climates, clogged gutters can prevent water from properly running off your roof. Water pools on the roof, which will cause corrosion. 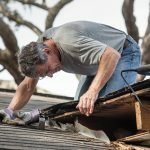 If not cleaned, the gutters may also become heavy disconnect from the house. Then water runs off the roof, but in non-ideal places which could cause basement or crawl space leaking as well. 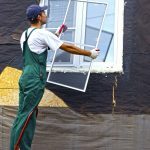 The lifespan of vinyl siding or other household materials may be diminished by runoff. Chimneys are typically made of bricks. These bricks are sealed together with mortar. You may have seen a movie in which brick masons slather that gray paste over the bricks then lay another layer of brick. This paste hardens connecting the bricks. This mortar is highly durable. But over time the elements, land settling or foundation issues can cause the mortar, and sometimes the bricks themselves, to separate and crack. The mortar needs to be replaced to stop the leaking roof. So, you’ve repaired the leaking roof and all is well. Then you notice a musty smell from the attic. And perhaps the ceiling shows new signs of a leak. It may not be a new leak at all. Moisture can become trapped in your attic. When the temperatures change and the inside is cooler than outside, this water will condense like the water on the outside of an iced tea. This water may be enough to cause a drip into your living space. Or it may cause mold and mildew in your attic. Blocked vents may be preventing moisture from escaping. They may have collapsed, become damaged, or clogged with leaf debris. Clearing them should resolve the moisture retention. If mold and mildew are severe, those may need separate treatment. The roof is your home’s and family’s protection from the elements. While there are many causes for leaking roofs, all roof leaks should be handled sooner rather than later to avoid more serious damage to the home. If you’ve got a leak, regardless of the cause, we’ve got the solution. We’ll work with you to protect your home. Call us today for a free inspection.